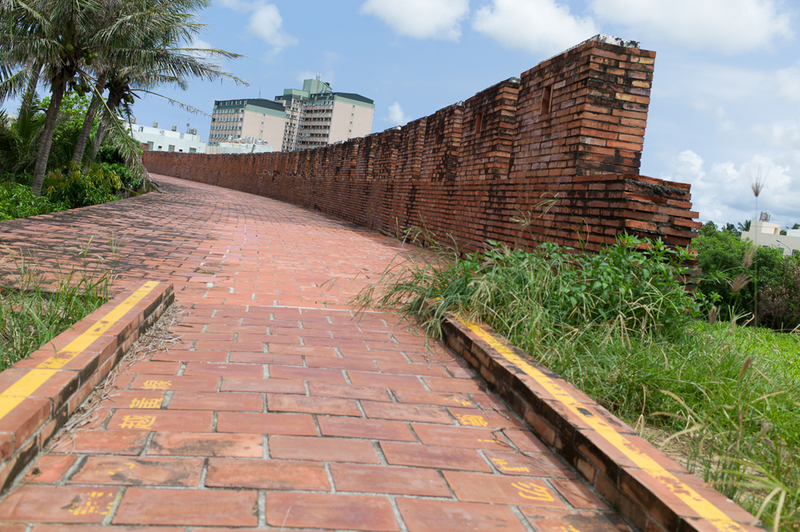 While you are taking in the sights with your little electric scooter, you will most definitely pass these ancient walls in the Heng Chun old town. 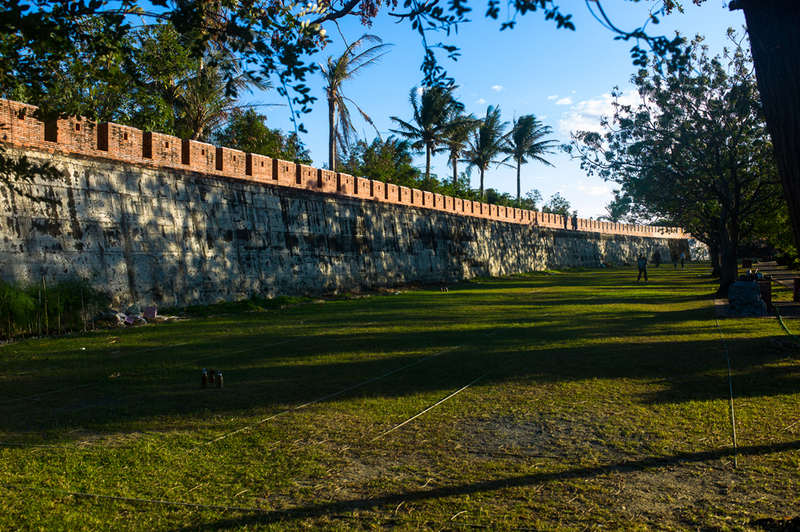 The walls are an impressive 13-meter high and 2,500 meter-long standing complete with its original gates. 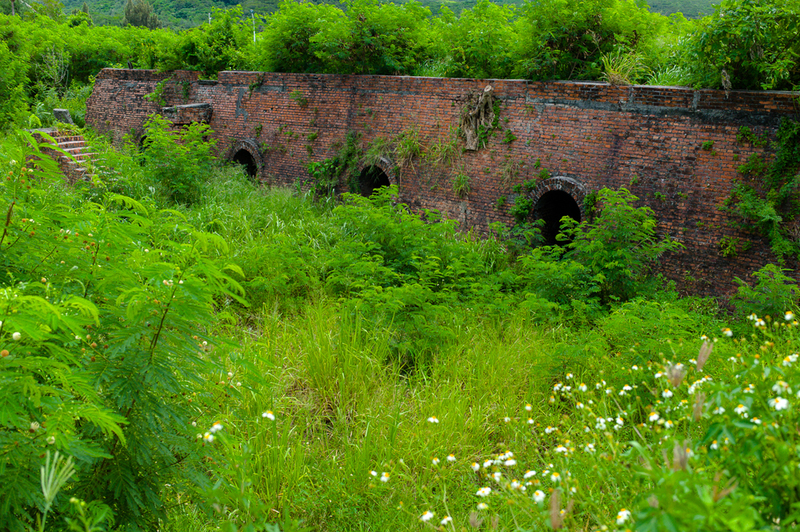 Only about half of the original walls remain as parts of it had been overgrown by plants. 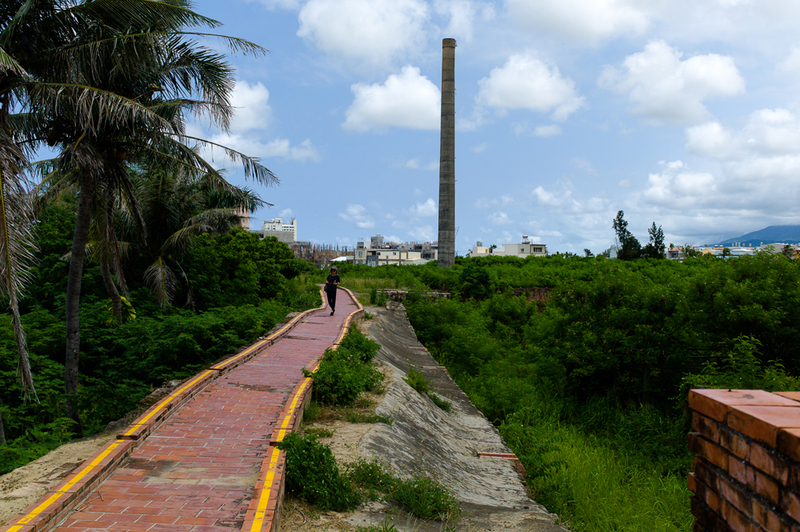 Other parts are simply too dangerous to walk on or had been destroyed to make way for the expanding town. 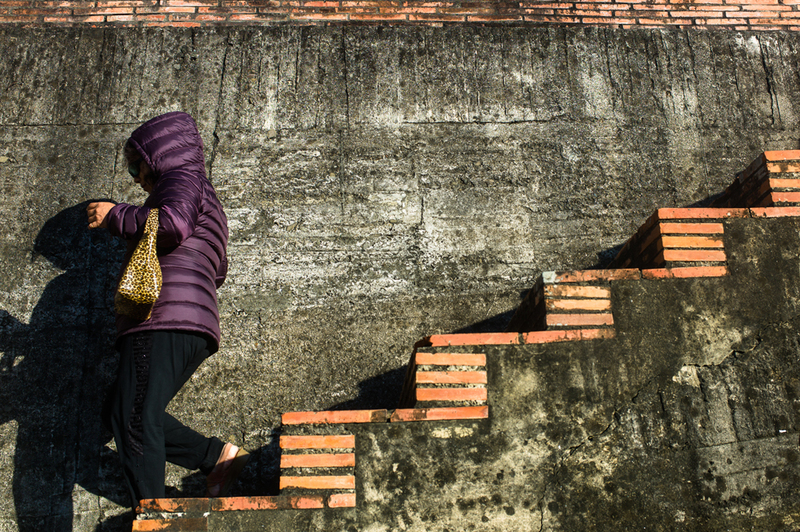 There are patches of green grass alongside the wall which the locals use to do their warm ups before heading up the wall for their daily strolls. You might even catch some playing a ball game or as they unwind next to their ancient protector. 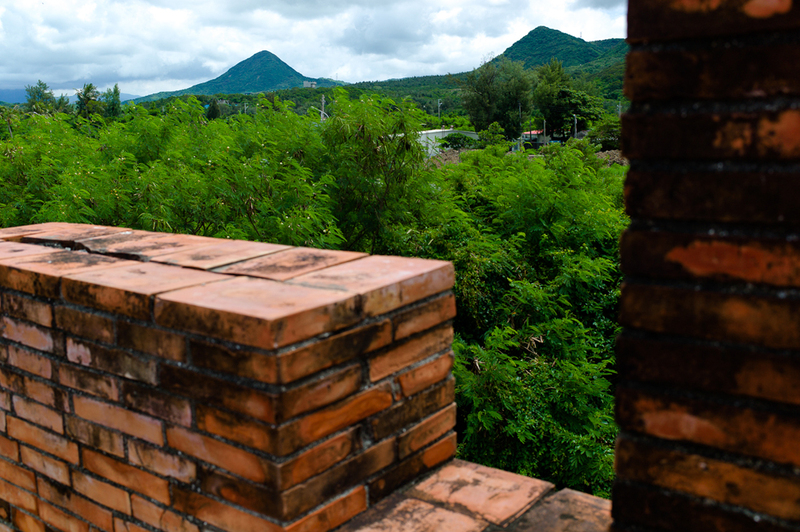 Walking on the walls itself is a very special treat as you get to experience something that was built 130 years ago. Peeking through the little peep holes where men used to put their firearms feels like you have been transported back in time as the walls are very well maintained for their age. 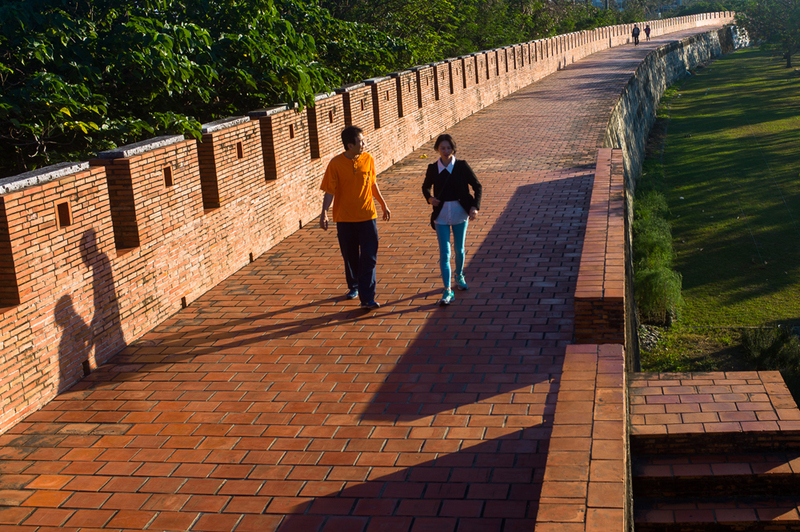 Soak up in their rich history as you walk along stretches of it. The best part being, this is a free activity so do take some time off to pay it a visit and enjoy the marvels of men and nature! 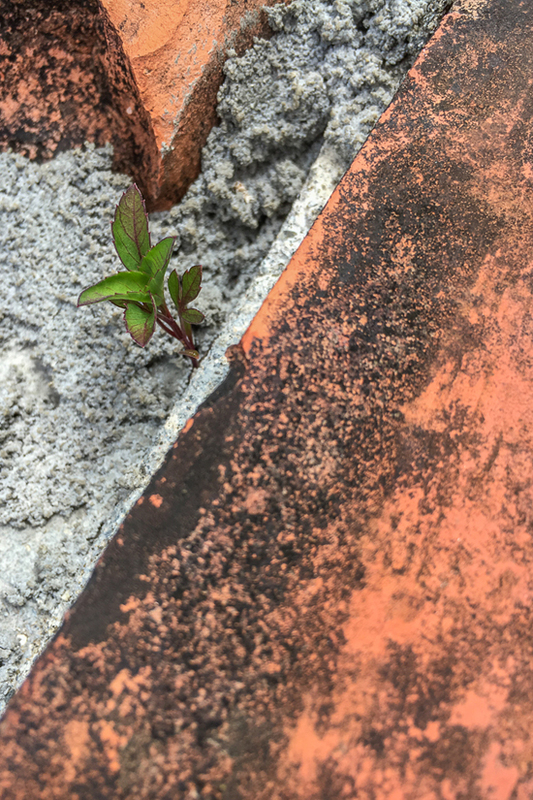 The walls are slowly blending into the modern town but nature is taking it back a seedling at a time along with modernisation. Happy climbing up the steps!